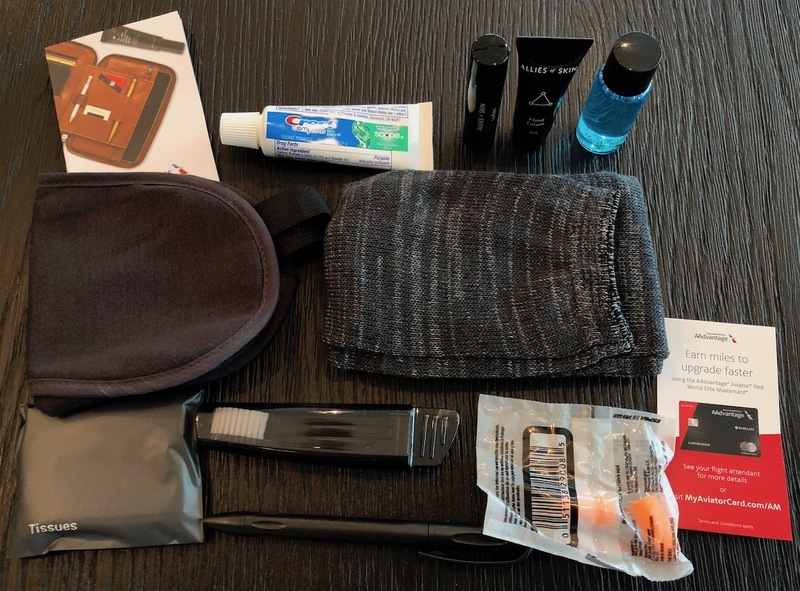 Last week I wrote about how American Airlines will be rolling out new amenity kits shortly. 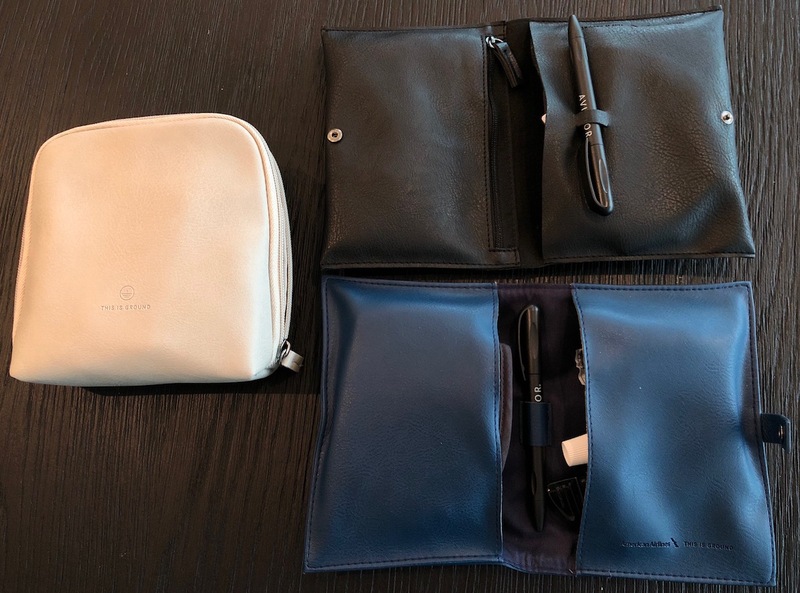 American’s current amenity kits are produced by Cole Haan, with products from 3LAB, C.O. Bigelow, and Clark’s Botanicals. 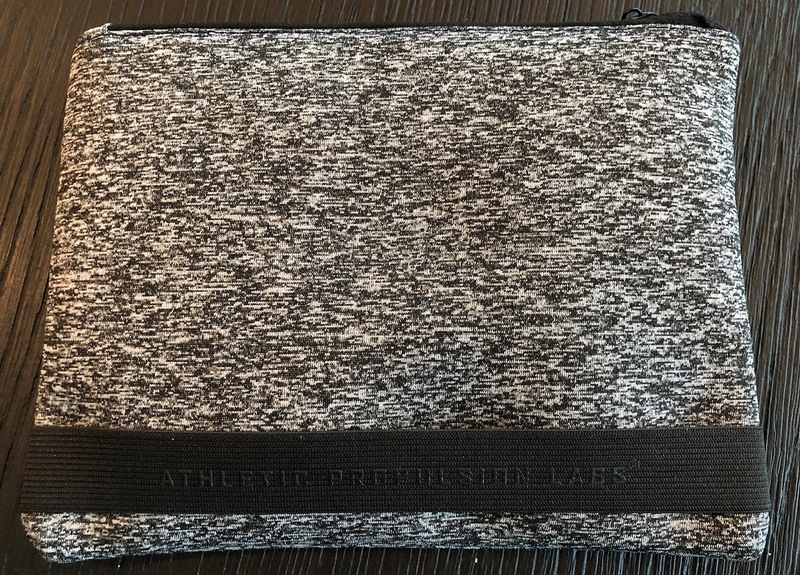 American’s new amenity kits are more varied and from smaller brands, and are produced by This is Ground, Athletic Propulsion Labs, and STATE Bags, with products from Allies of Skin, Zenology, and Baxter of California. I received a package yesterday from American Airlines with all the new kits, so figured I’d share my thoughts on them (for what it’s worth, I didn’t ask for them, and similarly, they didn’t ask me to write about them, so I’m just sharing my honest opinions). The first thing that stood out to me is just how many different types of kits they have — goodness! Let’s go through them, cabin by cabin. There’s just one bag design here, though over time there will be four different color options. 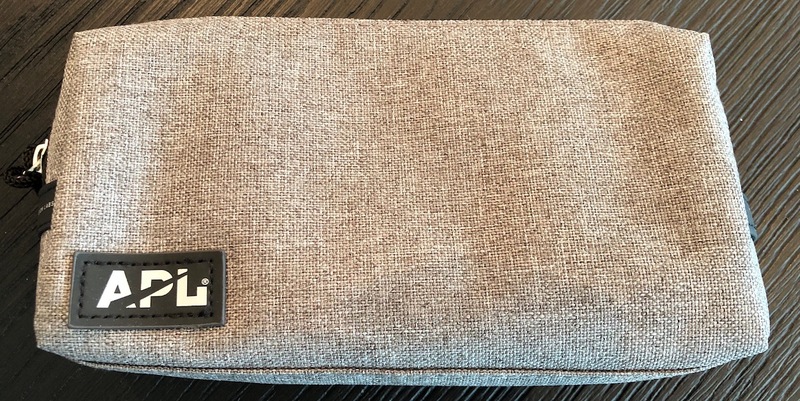 This is a zip-up pouch, and some of the amenities are strapped to one side, while others are in a pouch on the other side. The bag itself is by This is Ground, and the skincare products are from Allies of Skin. Contents here include body lotion, facial moisturizer, lip balm, a dental kit, an eye mask, socks, earplugs, mouthwash, a pen, a tissue pack, mints, a credit card pitch, and a discount code for some products. My take: The kit itself is actually really well stocked, though I find the bag itself to be boring, and tough to repurpose. I’m also surprised it took American this long to put a credit card sales pitch in their amenity kits. Also, does anyone know what the thing in the top left of the above picture is? American has four international business class bag designs, and on top of that each comes in four colors, so over time you’ll see 16 different color and bag combinations. Three of these kits can be folded in half (one with a zipper, one with a strap, and one with a button), and then there’s one kit that stands up and that has the contents inside. The bags themselves are by This is Ground, and the skincare products are from Allies of Skin. The contents for all four kits are the same, and include body lotion, lip balm, a dental kit, an eye mask, socks, earplugs, mouthwash, a pen, a tissue pack, mints, a credit card pitch, and a discount code for some products. My take: These kits are totally fine and unmemorable. On the plus side, at least they don’t have that same awful odor that the Cole Haan kits had (what was up with that?). 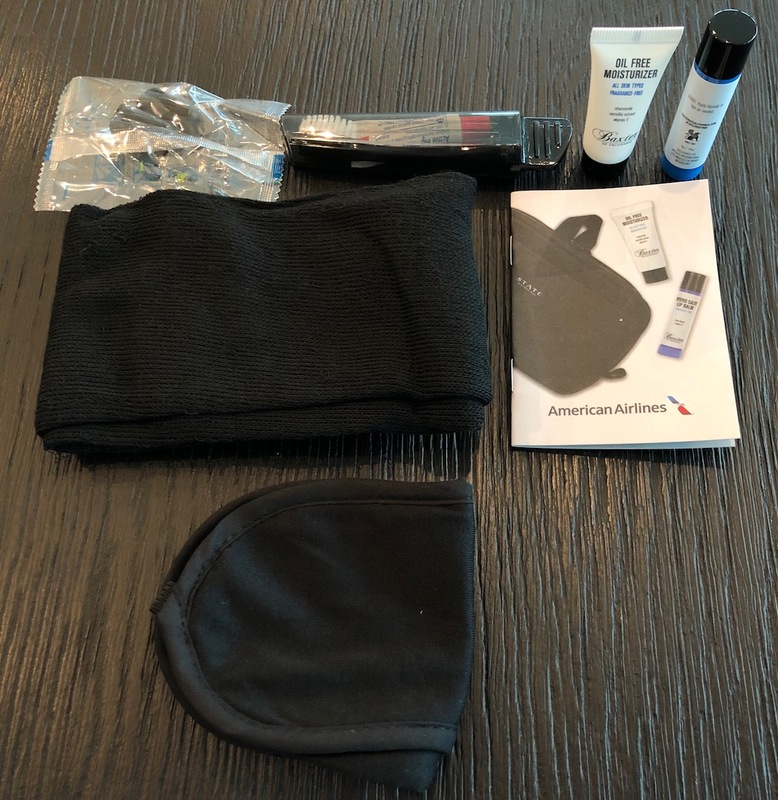 American has just a single transcon first class kit, which is a zip-up pouch. The bag itself is by Athletic Propulsion Labs, and the skincare products are from Zenology. 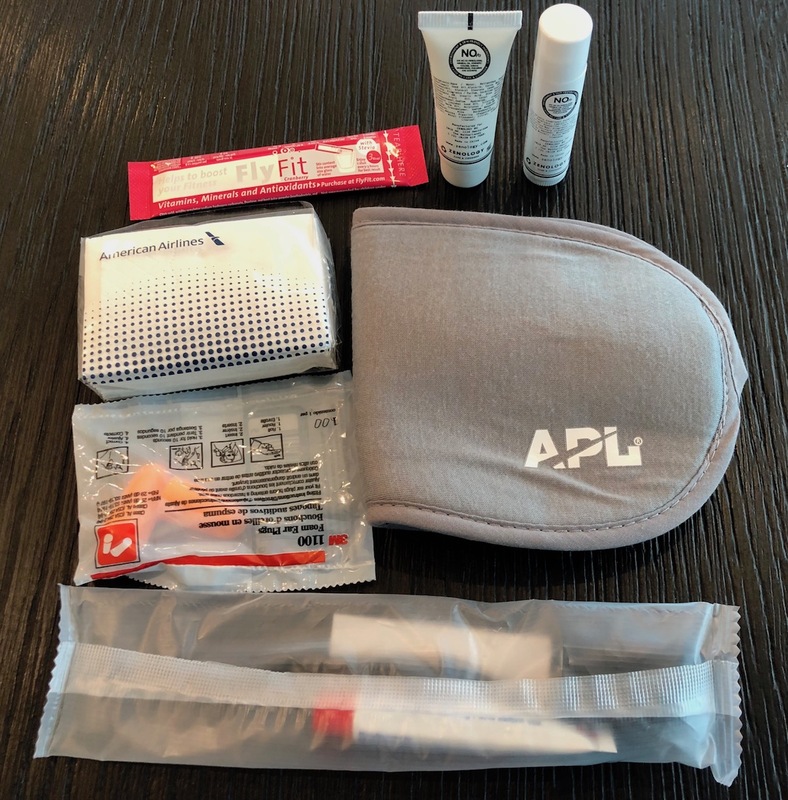 The contents of the kit include hand and body lotion, lip balm, sanitizing wipes, a dental kit, an eye mask, earplugs, mints, a hydration pack, and tissues. American has just a single transcon business class kit, which is a thicker zip-up pouch. The bag itself is by Athletic Propulsion Labs, and the skincare products are from Zenology. The contents of the kit include hand and body lotion, lip balm, a dental kit, an eye mask, earplugs, mints, a hydration pack, and tissues. My take: The only difference between the contents of this and the first class kit is that it doesn’t have sanitizing wipes. American has just a single premium economy kit, which will come in two designs. The bag itself is by State Bags, and the skincare products are from Baxter of California. The contents of the kit include body lotion, lip balm, an eye mask, earplugs, a dental kit, socks, and a discount code for some products. My take: This kit is very nice, and has all the basics you’d expect for premium economy. Personally I’m not someone who cares that much about amenity kits, so I don’t have strong feelings one way or another. I’m pleasantly surprised by the variety of kits American has, though for the most part they’re pretty unmemorable. 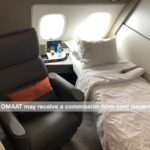 In general the international first class kit is my favorite, and I think the premium economy one is really well done. I’m surprised the transcon ones don’t have socks, but otherwise the kits are about what I’d expect. Best of all, these kits don’t have the awful odor that the Cole Haan kits had, for whatever reason. 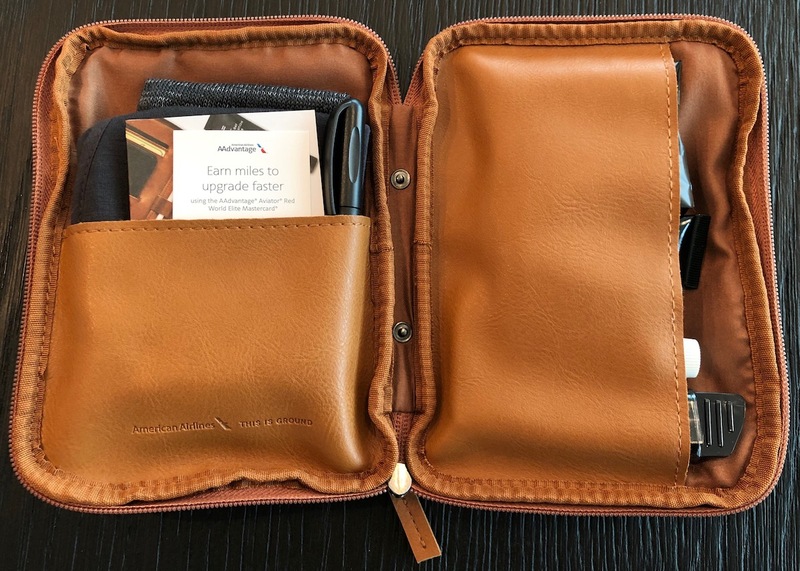 What do you make of American’s new amenity kits? 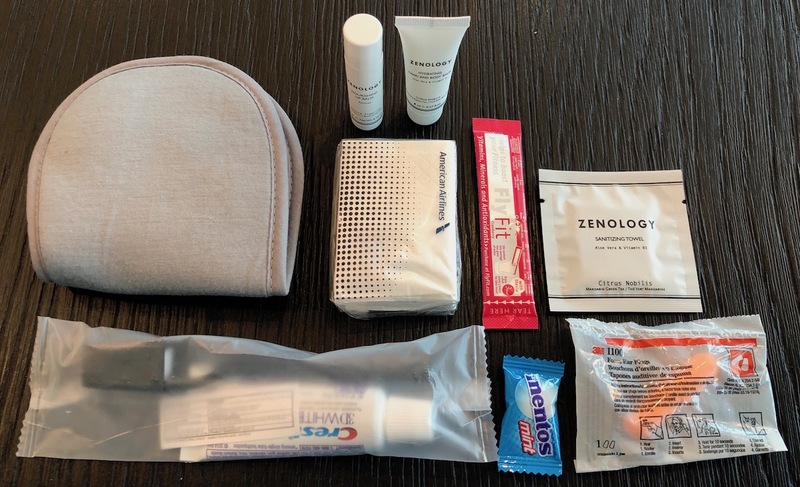 Does anyone really buy a ticket based on the amenity kit? Maybe some FF collect them but geez. If they start putting that in then I’m blaming you! The thing you ask about in the first class kit is a cord taco. Probably the most useful thing in the kit! I always thought that was the weirdest component of amenity kits. Sam – this is my take on socks. I wear them for the long haul (12-15hr flights) and that way my own socks dont get smelly staying on my feet that long. Dump the plane socks upon landing and off I go. Others may feel differently. An improvement over last year’s Cole Haan but not memorable. For those of you that wear the socks… Do you sleep at home with socks on??? The first class one with the cord taco also immediately made me think of reusing it to organize my makeup using the stretchy cord thing to put my stuff in, or to organize ear buds and cords in a row. I can think of a couple ways to use it honestly and would love to get something like it. Plus you know, first class is nice. @Anon – are you comparing personal home with public transportation? If yes, then you have other issues nothing to do with socks. I’m just happy to see the bigger Crest travel-sized toothpastes back in the kit. Those little one-and-done ones are annoying and purposeless after using them once. I think they ought to give passengers the option of returning the full kit and picking up only the amenity items they want or need from the galley like they do with mid-flight snacks. Some of us don’t use most of the things in those amenity kits, don’t want to repurpose the bags and also don’t want to see more non-biodegradable trash piling up around the world unnecessarily. I reuse eye masks as much as possible, but every so often, I need a new one. I’ll use my own toothbrush and toothpaste. I love teeny tiny toothpaste tubes. On some trips, the regular travel size isn’t quite enough, but I don’t want to bring a bigger one due to space constraints. I just throw a couple of these baby tubes in and toss as they are used up and I get through the trip just fine. Also, not sure if the cord taco has a soft/suede side, but I’ve seen leather lens cleaners before, so maybe it can be multipurpose? The packaging of most amenity kit is useless. Soft cover is better than hard. Little Rimowa suitcases are cute but useless and bulky. Good for American adding mouthwash and tissues to some, but they are missing a comb or small brush. Much more useful than lotions that are in the lavatory. The cases themselves look useful to me. I would repurpose them as electronic cord, cable, and accessories holders. The cord taco would even match. baxter is the best brand in any of those… shame they didn’t include some of their better products in the intl F & J bags. To the anon who asked about sleeping with socks on at home. I sleep in the buff. Your point? Slow news day/ week. Who cares about an amenity kit? Sure, some are nicer than others, but not all that important when choosing a flight. Yawn! So useless bags with no secondary purpose/utility (unlike the current ones which are useful), filled with crap contents that are destined for the trash? 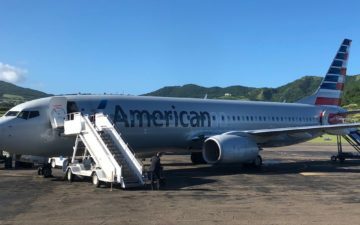 I’ll be flying First Class to Maui from the Midwest on AA, taking longer and costing more than some international First Class flights. Lucky, why no amenity kits on this type of flight? Got one of the black This is Ground bags yesterday on ICN-DFW and was not impressed. 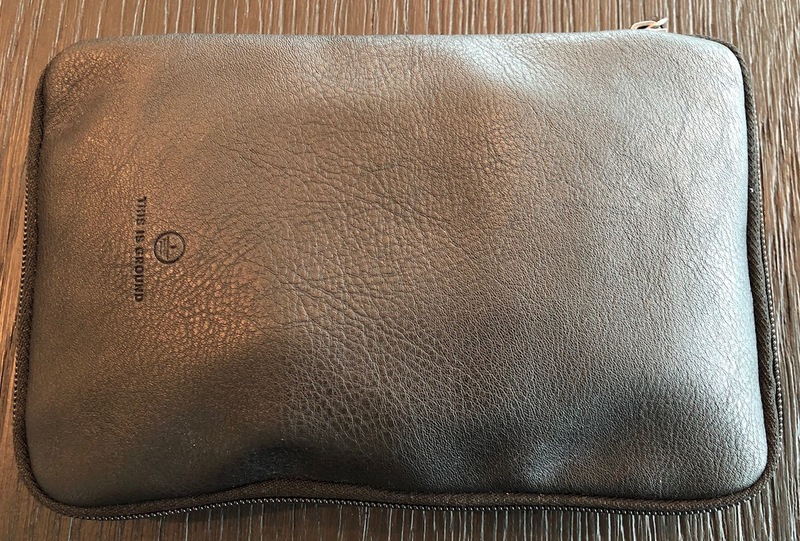 The leather is quite nice, but the half-fold and pouches are poorly designed and barely hold the contents in place. I flipped open the bag mid-flight and the half of the contents dropped right out. Not a keeper for me. The premium economy one is very nice. Many carriers don’t give out kits for premium economy. @Linda – I hear you but it’s because Hawaii is 90% recreational travelers going there. That’s why airlines fly their shittiest planes there. Because they can and no one cares. They did that jfk-sfo there would be pitchforks. 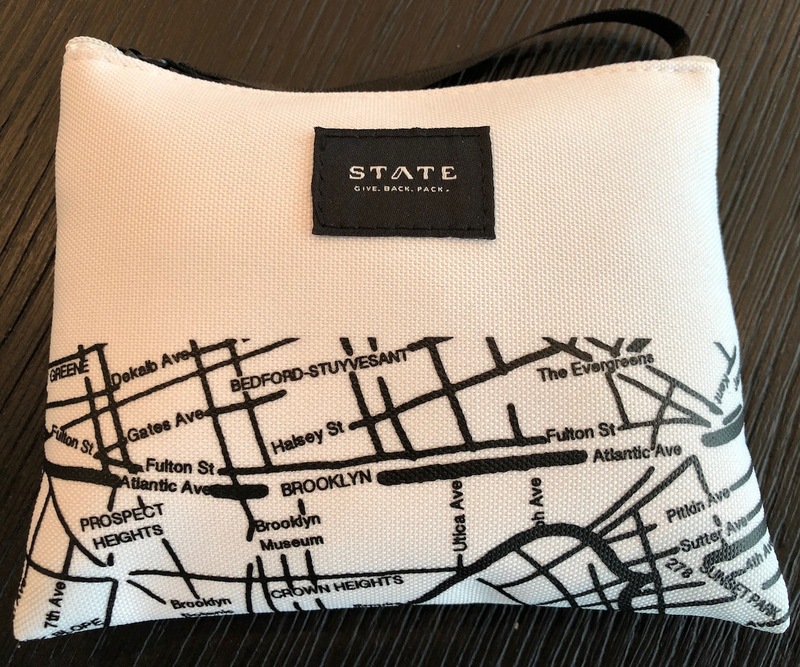 Why don’t they provide amenity kits, sane reason it’s not lie flat….because they can and don’t need to do otherwise. 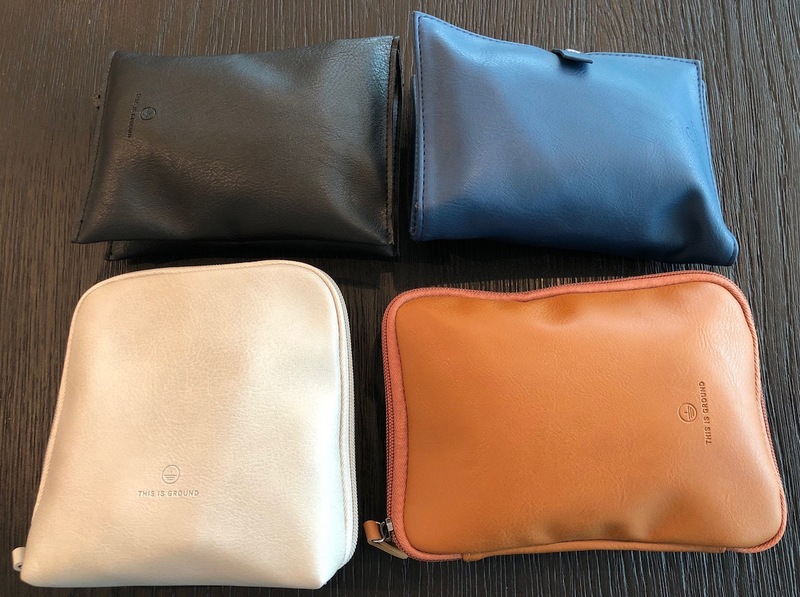 As a collector of airline memorabilia, I try to get one of each amenity kit! Have Pan Am, TWA, USAir, BA ‘wash bag’ and others. Some have unusual items, like a TWA folding clothes hangar. KLM & Air France had pencil cases, CD cases and a lunch box. Recently AA did a legacy series, a bag for USAir, TWA, AirCal, American retro, PSA, America West, Reno, Alleghany, and Piedmont! Leaving a plane I ask the Purser if I may have a ‘left-over’ amenity kit. Many times I’ll be offered a fresh, new one rather than one left behind. Spares are donated to a women’s shelter. PS I wear socks in bed on very cold nights! Amenity kits are so wasteful and duplicative of stuff I already take with me. I rarely accept them nowadays, only if I have a use for the bag (I’m using a Finnair one as a cable organiser right now). I usually put on the socks and then forget about the Casper slippers. Going to be flying home next week and hope to see the new amenity kits on PE. About the socks, I always fly with brand new pair of socks. Just put some toothbrushing kits in the lavs and have a few of the other products boarded so that they’re available upon request. Ditch the kits and prevent what’s inevitably going in the trash from being produced in the first place. That indirectly sounds like a cash back program. Not impressed at all. 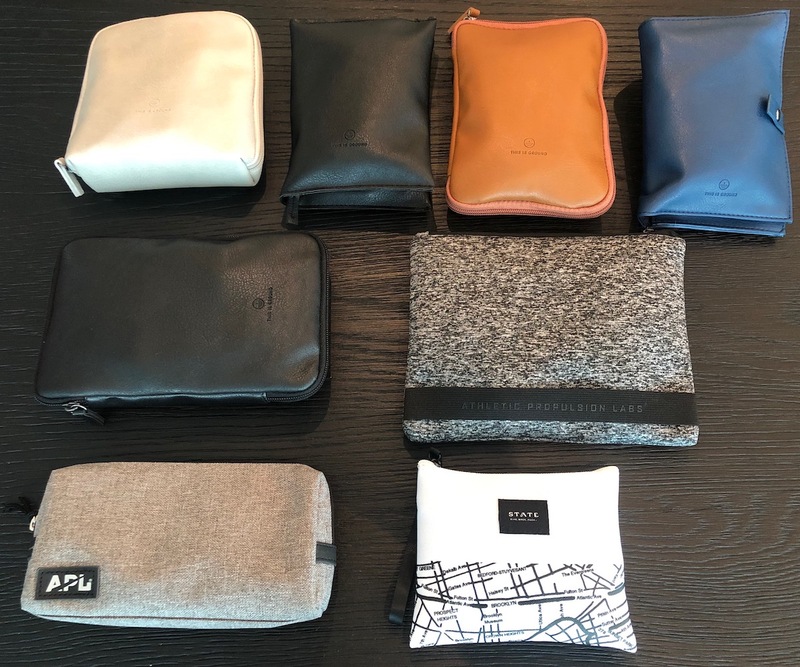 Fabric ones look best in my opinion and could be reused for something, maybe… I usually use amenity kit bags for cables (Delta Tumi) and toiletries. I have one fabric, zipped one from American and it’s quite good. I use socks on long haul flights, just wear them instead of mine. And any spare use at home. Have quite a collection by now. I would never walk without shoes on a plane. 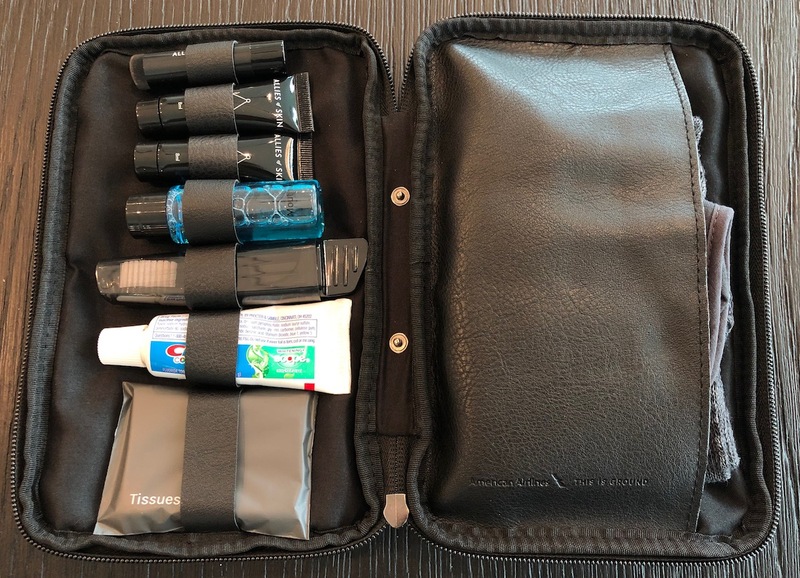 I usually take amenity kits apart and sort toiletries, so I can use them later and put socks in a drawer. Sometimes, if amenity kit is nice (Emirates, Qatar, etc), I give it away to friends. 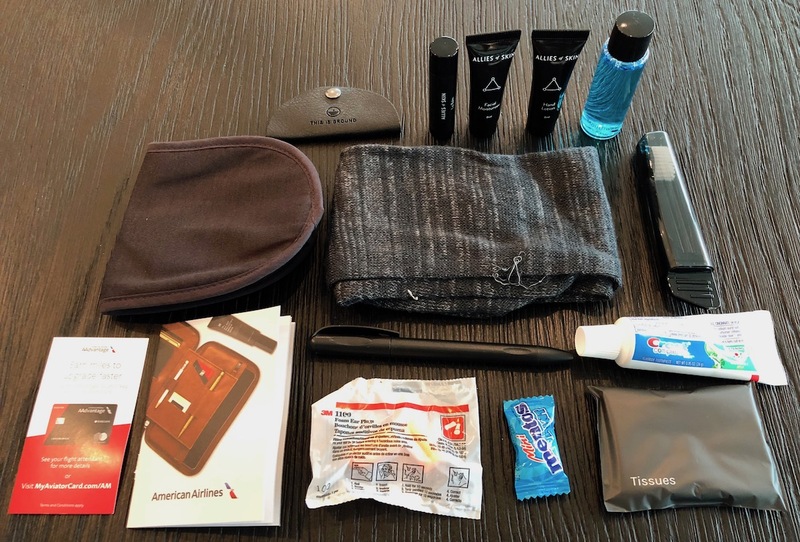 I like getting amenity kits and like reading the reviews of them when I am between travels. I do like the idea of having some ingredients in the galley or restroom to pick up as needed to avoid duplication of containers/bags that may not be needed. For contents, I prefer hand sanitizer/wipes to eyemasks; tpaste/brush are helpful; the creams/potions could be in the restroom and used as needed. Best item in a kit was a folding brush from a Lufthansa kit some years ago. As mentioned above, I donate any extra items to shelters. @Meowly – Not really, i just took UA869 and UA838 in the past two weeks, while getting off the plane, i looked in polaris to see if there are any leftover kits since UA‘s kit is nothing special, to my surprise all were taken, looked through every seat and couldnt find one. NZ, JL, and NH had gone through that way by passing out amenity basket for you to take whatever you need instead of an actual kit, it didnt work and passengers complain they are being cheap, as they spend thousands for a business class seat but dont even get a kit that cost $5, even the world‘s most reluctant airline on giving out kits in business, SQ had been testing kits for business in the past 3 months for business class, they always have kits for F but never for C.
Its a nice touch that doesn’t cost much. My kids got them from my brother when he use to travel all over the world. Keep them and give them to someone and brighten their day.